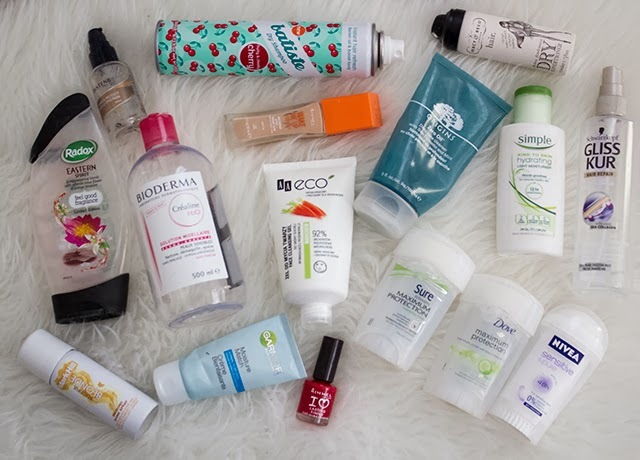 Empties are one of my favourite type of post to read, I also love writing mine. I don't always include all used up products, just because sometimes I forget to keep the empty packaging or my mum is the one who will use up the shower gel for example and she throws it away. Let get to the point. I am not really fussy when it comes to shower gels, I mostly love Body Shop ones, but Radox Easter Spirit shower gel was great too! Done the job, to be honest I am not big fan of Radox showers gels, they do work, but the smells aren't as good. Pantene Hair Serum, this was a lovely never ending product. I love the smell, but I didn't really realised that it done anything to my hair, apart from smoothing down the frizz, a little. Batiste Cherry Dry Shampoo some people love Batiste Dry Shampoos, but I don't. I just feel like they leave y hair covered up in white powder, guess not everything will be good for everyone. Percy&Reed Dry Conditioner* this product smells amazing! I love the effect it gave to my hair, they look a lot more smoother. I will forever love Bioderma, this is a products I always go back to, it's just amazing. Rimmel Wake Me Up foundation, one of my favourite foundations, I am almost out from my second bottle, and I will definitely still repurchase it. Just love the way it's looks on my skin. Origins Zero Oil facial gel this was a lovely product, but I didn't "wow" me. Smells lovely, I like the clear packaging so you could tell how much more you have, but other than that I didn't really notice any difference on my skin. Simple Hydrating Cream I loved the size! I never really been fussed about daily moisturiser (my bad, that have changed now), this is a lovely product to use on lazy days, does keep the skin moisturised. Schwarzkopf Gliss Kur Hair Repair, it's basically a leave in hair conditioner, in a spray form. It's lovely to help you brush out knots from your hair. Although it's a lovely product I would like to try out something else now. Mark Hill Blonde Shine Spray this products worked! It have added shine back to my hair, I liked the smell too. Garnier Moisture Match Cream this was lovely to use as an make-up base, worked well with foundation, but it's not really moisturising if you planning to use it as your day cream. I love classic red nails, the Rimmel Nail Polish in Red was really pretty, can't believe I manged to use up a nail polish, this most show that I liked it a lot. Sure Maximum Protection is my favourite deodorant to use during the summer, does the job really well. Dove Maxium Protection is good too, but I feel like the Sure one is a lot more stronger. Nivea Sensitive&Pure Deodorant is the worst thing I ever tried! To be honest I am just throwing it away, smells so bad! I just don't like it, it didn't even give me any protection. I love empties posts! I think they're so fun, I love seeing what other people have been using. Great post! I don't EVER use up products!! Its actually annoying! 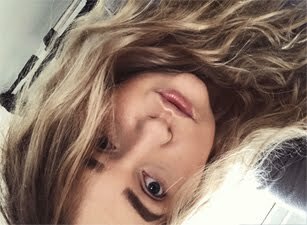 Sorry to hear you didn't like the Batiste dry shampoo :/ It's interesting how different products work for different hair types — white powder happened occasionally with me, but it always went away when I brushed it out. Do you use any other dry shampoos?